Greenway Consults is excited to announce that the Maryland Medical Cannabis Commission has approved three more growers to cultivate medical marijuana. SunMed Growers in Cecil County, Shore Naturals in Worcester County, and Grow West MD in Garrett County were the three growers awarded final approval on Monday. While these three companies missed the August 15th deadline they were still granted their sought after final licenses and the Commission even granted a formal extension to the two remaining pre-approved growers. Kind Therapeutics in Washington County and Doctors Orders in Dorchester County were the two growers that were granted extensions. MaryMed of Dorchester County was the only company to not win a final license or be granted an extension due to allegations of illegal activity by former employees of its parent company. However, MaryMed will be appealing this decision. 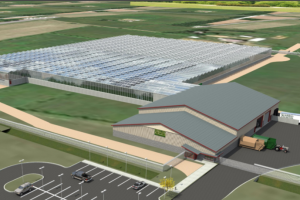 The Cannabis Commission also granted final license to two more processors. Processors extract oils from the medical marijuana plant and can create an array of marijuana infused products from vaporizers and pills to lotions and tinctures. Chesapeake Alternatives in Queen Anne County and Pro Green Medical in Frederick County were awarded their final licenses on Monday. While it has been a long journey for Maryland’s Medical marijuana program, advocates and business alike are now seeing light at the end of the tunnel. Marred by controversy and legal issues, Maryland’s medical marijuana program which was first approved in 2013, has had to overcome many road blocks. One of the looming concerns and issues that the program has faced has been the lack of inclusion of African-American participants. The Black Caucus Chairwoman Cheryl Glenn has been quite vocal on the disparity of African-Americans in Maryland’s medical marijuana industry. Governor Larry Hogan has ordered a diversity study to be conducted and said he will support the plan for emergency legislation to expand diversity in the industry when the legislature returns in January. Yet, all signs point forward that the industry will be moving full force ahead even amid the diversity accusations. The Cannabis Commission approved ForwardGro of Anne Arundel County in May of this year and expects medicine to be ready shortly after Labor Day. Just over two weeks ago the Commission awarded final licenses to an additional 8 growers and 4 processors. With the announcement of yesterday’s license winners there are now a total of 12 growers and 6 processors who have the ability to start producing medical marijuana immediately. The Wellness Institute of Maryland located in Frederick is the only full licensed dispensary as of right now. However, the Commission pre-approved an additional 93 dispensaries who have until December to pass final inspections and get fully licensed. Maryland’s medical marijuana program is here to stay and relief is on the horizon for patients of Maryland who desperately need this medication. So far there are over 12,000 registered patients enrolled in Maryland’s medical marijuana program. However, in order to complete enrollment you must be certified by a registered medical marijuana doctor. Our staff at Greenway Consults would be glad to assist you throughout this process. To schedule a consultation or for any further inquiries feel free to give us a call at 410-762-8745 or send us an email at greenwayconsults@gmail.com.